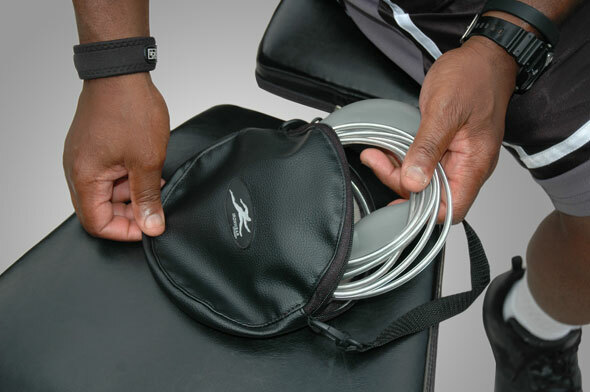 Rope Bag™ is IRONWEAR’s ™ new unique storage system for your jump rope. The Rope Bag™ protects your jump rope, is easy to carry and keeps your jump rope ready to use when you want it. Rope Bag™ circular design allows the rope to keeps its natural shape, free from kinks and knots. 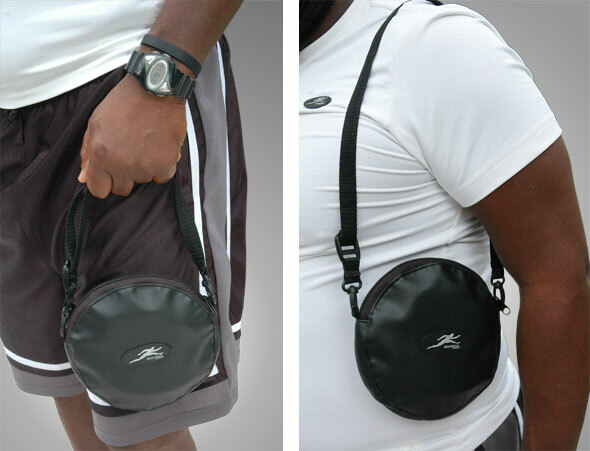 The large zippered opening makes it easy to take the rope in or out of the bag. Rope Bag™ is constructed or soft faux leather and is easy to clean. The soft shell protects both the jump rope inside as well as things around the rope. The Rope Bag™ keeps your rope from being tangled with outer things in your gym bag and keeps your rope ready for you to use. No more waisting time untangling your rope from everything else. Rope Bag™ is a must if you have multiple jump ropes, each rope can be kept neat and ready to use. Rope Bags™ are great for storing your jump ropes anywhere, hang them on the wall or keep them in a bag or box. No more untangling ropes or problems keeping track of how many ropes you have. 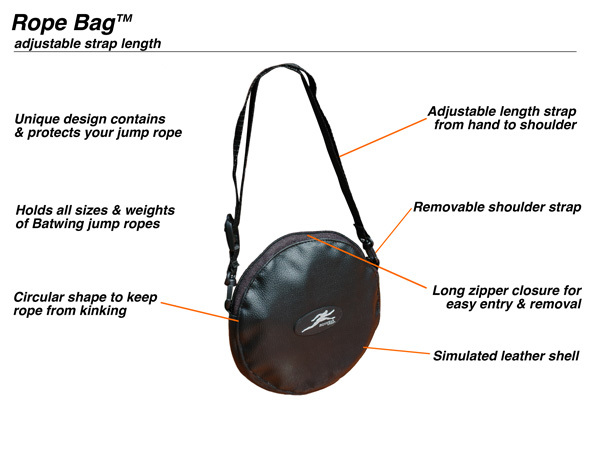 Rope Bag™ comes with an adjustable strap that is removable. The strap can be adjusted from hand to shoulder length and the strap make it easy to carry one or more ropes safely and neatly. Rope Bag™ RB1 is designed to hold any Batwing jump rope from the speed ropes to the weighted ropes.